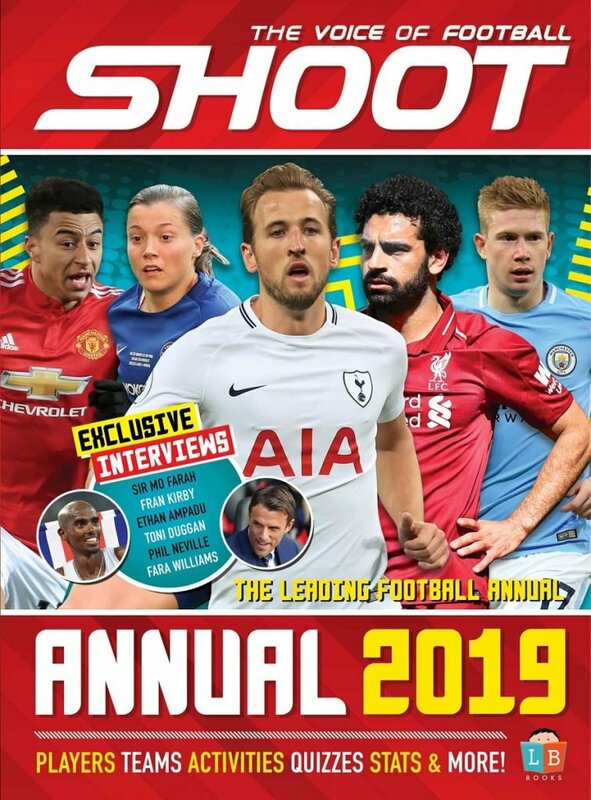 Following SHOOT’s exclusive interview with Oxford United legend Ryan Clarke earlier this week, editor Dan Church had just enough time to take to Twitter to reel off some of the weird and wonderful questions posed to the former goalkeeper by his adoring Yellow fans. Damon: Have you ever broken a finger, and if so, how long in your recovery before it stopped effecting your game? *Plus, what is the worst injury you suffered? “Oh, my shoulders! When I done both my shoulders. I did one in a game, and two weeks later, did the other one playing for Oxford. That was bad. I thought my career was over. I thought there was no way back as I had seen so many guys have shoulder surgery and not make it back. But luckily I had a good guy do mine and the rehab was really good and they are stronger now than they were before. “A few Oxford fans used to say, ‘Oh, he is not the same since his shoulder injury’. I was like, ‘Well, no hold on! I am playing better since I had my shoulders done’. But no, never broken a finger. Andrew: Other than Wembley [versus York City], what was your favourite Oxford moment? Oufcblaze: Who was the best player you played with at Oxford? 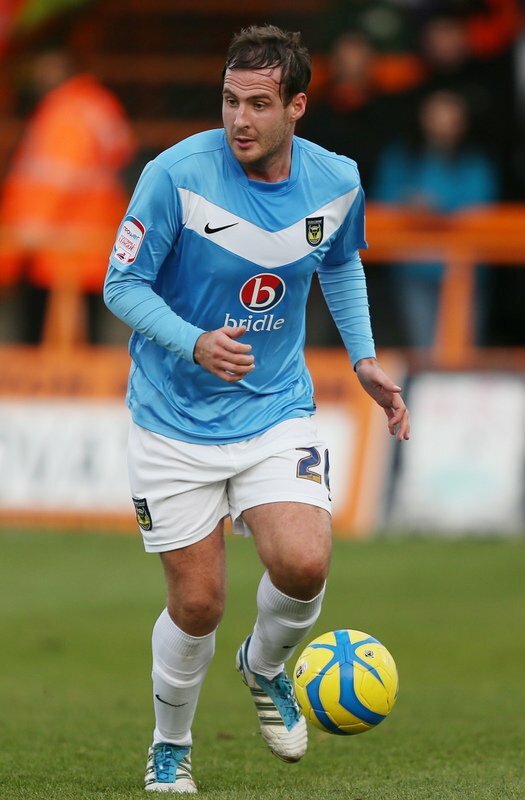 Former Oxford United midfielder Peter Leven. Connor: How did it feel to score at Wembley? Ian: What’s the secret to your penalty saves? “I have got a strategy, it is more mind games. Basically I will have a little chat with them before, plant a few seeds in their head, as in, ‘I am going to stay in the middle, so don’t put it down the middle!’ So mentally they are thinking, ‘I am not going to put it down the middle’. So now that narrows the options down to left or right, doesn’t it. And judging on their body shape and what sort of player they are, are they a powerful sort of player? Or, is he a side-footed sort of player? 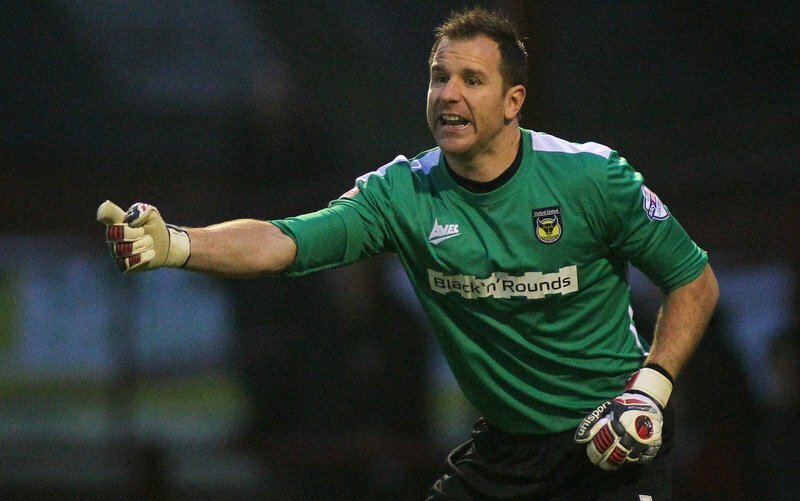 Oxford United’s Ryan Clarke saves a penalty taken by Scunthorpe United’s Deon Burton in December 2013. Matthew: Does he remember the moment THAT iconic photo was taken of him being carried off by Mark Creighton at Wembley? Blake: Funniest moment at Oxford? 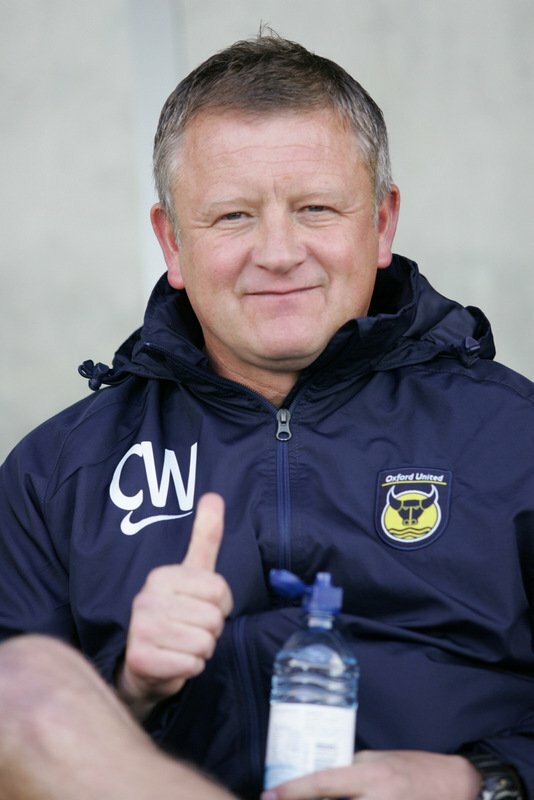 Former Oxford United manager Chris Wilder. Danoufc85: What is your proudest moment in football? James: Ask Ryan if [he] would ever come back as a coach? Jason: If you could change one rule in football, what would it be? Dale: Brown sauce or ketchup on a bacon sarnie? 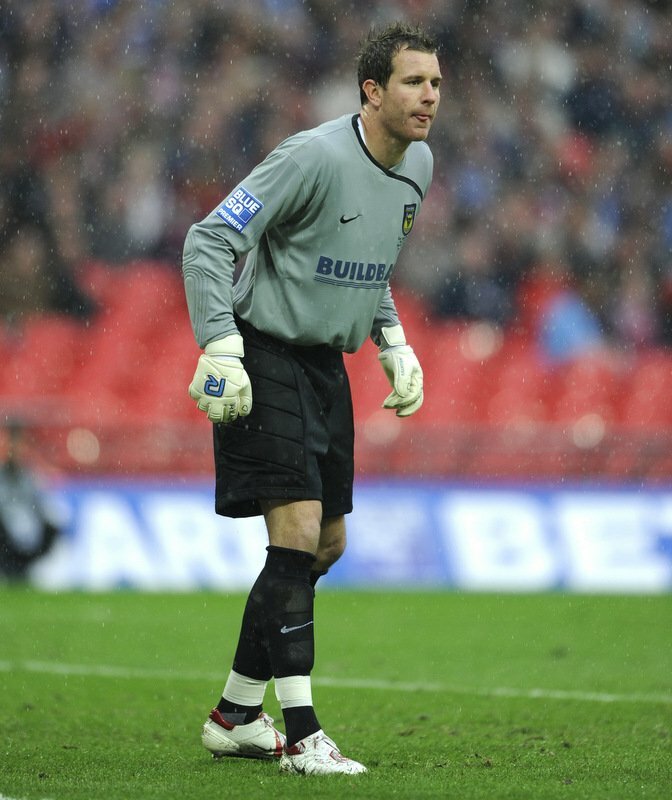 Ryan Clarke at Bristol Rovers. Will: Which non-league club most surprised you by how good the facilities were? 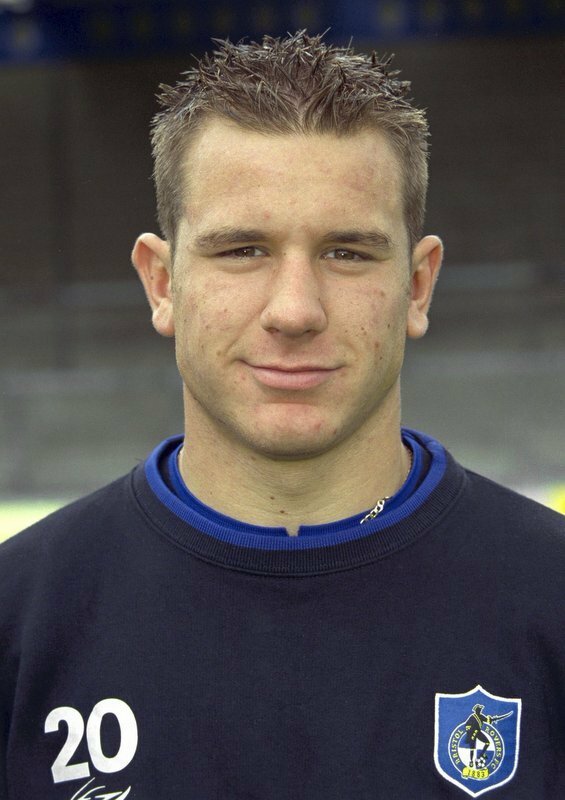 Leicester Yellow: When did you think “my times up at Oxford” under Apps [Michael Appleton]? 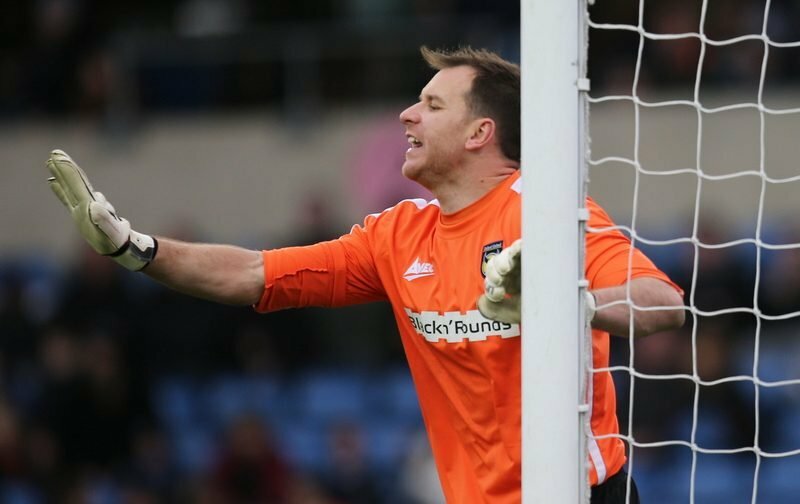 “I knew my time was up when he put Jamie Ashdown in goal for the final three to five games of the season. I sensed it then. We were safe and what have you, but he took me out and put Jamie in. I missed the first ten games through injury in his first season, and then I actually had one of my best seasons for him. But for whatever reason, I think he wanted me to be this ‘keeper that played out from the back, because that was the philosophy that he wanted as soon as he came in. “But it didn’t work and that showed in the first sort of ten games during his second season. I think it cost him a little bit. But when I got back into the team, I sort of stuck to how I knew and what the league was about really. I don’t think he liked that. But, never did he sort of express that he wanted me to be out from the back and all that. He just saw me as a goalkeeper. He wanted me to be a different ‘keeper that could do all that. A bit like the scenario at Liverpool, where [Simon] Mignolet has done okay what have you. “So I had a conversation with him just before the [2014-15] season finished, and said, ‘Look, do I need to find myself a new club for next year?’ And he said, ‘Yeah’. I had another year left on my contract, but my only regret is probably leaving. I wish I had stuck it out for a little bit, and tried to prove him wrong. “The disheartening thing is, and why I lost a lot of respect for him as a person, was that I had come back for pre-season and was told to train with the youth team. I had six successful years [at Oxford], and he would of known that, and even how I played for him in that season. He was under a bit of pressure after those ten games, and me and Andy Whing got back in the team and we sort of steadied the ship a bit. We went back to sort of playing what we knew and it got us back in the swing of things in results terms. 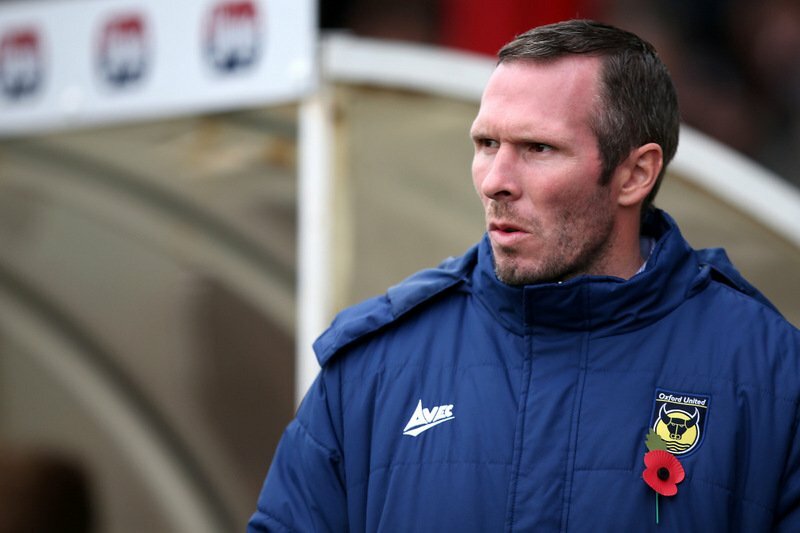 Ex-Oxford United manager Michael Appleton. David: What’s the best save you’ve ever made? “Against Southend [United], there was a deflected shot from about 28-29 yards out and it has come off Jake [Wright]. He has had a shot, come off Jake and it is spinning over my head. Somehow I got back to tip it over the bar! Leicester Yellow: How important is it for clubs to be aware and look after players’ mental health? To have someone at the club that players can talk to away from the management team. “Yeah it is massive. I think every professional club now should have someone for the players to go and speak to, especially young players. But just even the experienced pros, because as they are coming towards the end of their careers, that is when mentally it starts to get tough. Chris: Who was the biggest joker in the Oxford changing room during the promotion season? My money’s on Mark Creighton. Ryan: Any tips for the young players trying to come through? Sam: Do you regret your move to Northampton [Town]? Wolfie: Tell us about the time Chris Wilder sat under his coat during a half-time team talk…? “Hayes & Yeading [United] away! This was in my first season, I think it was a Bank Holiday game and we were shocking for the whole game. He came in and lost his head. He just sat on the big drinks cooler, pulled this big jacket over his head and was like, ‘You are all like this! You all just want to hide. You don’t know what to do’. James: Did you have any pre-game rituals which you had to do?